Prize bond Rupees 100 Draw 25 Result 15th February 2019 check online from here. Draw date is Friday, 15th February, 2019. National Savings of Pakistan organize the 25th draw of 100 rupees prize bond. Rupees 100 prize bond is the cheapest bond. National Saving introduce the Rupees 100 prize bond for students. Rupees 100 prize bond draw 25 will held in Multan city of Punjab Province. Those persons who have prize bond of rupees hundred. Now waiting to check the 25 draw result of 100 rupees prize bond. So that they come to know that they win the prize or not. Here full list of Prize bond Result Rs 100 Draw 25 is available. The reward for the winner of first prize of 100 bond is Rupees 700000. The winner of first prize number is 144844. The winner of second prize for the 100 rupees bond is Rupees 200000. The lucky numbers are 015443, 236547, 466843. While for third prize the reward is Rupees 1000. Their are total of 1199 prizes for the third winner. Each person winning the third prize will get one thousand rupees. Procedure is mention below to check as well as download list of 100 prize bond 25 draw result. Result of 25 draw of 100 prize bond is available here. You can also check Prize bond 100 Result from the National saving site. 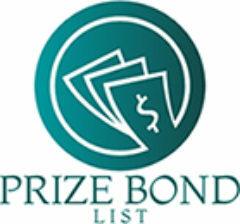 You can view as well as download full list of 100 prize bond 25 draw results. Press Ctrl+p in order to get the print of Full list of Prize bond Rupees 100 Draw 25 Result 15th February 2019.